October was a good month. 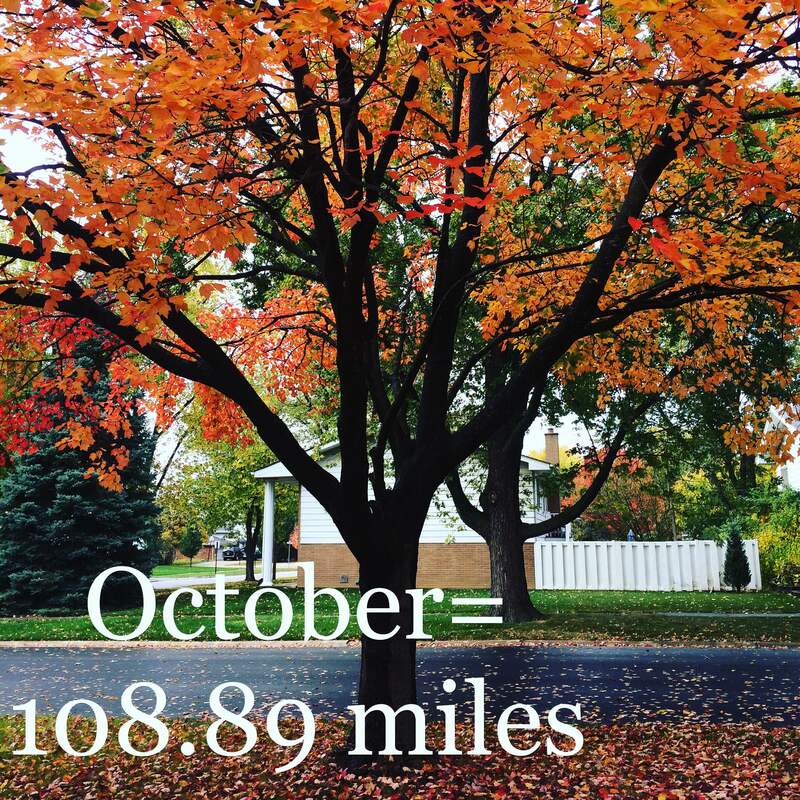 I’m ending the month with 108.89 miles. This number is actually higher than I expected. The first 10 days of the month were spent tapering, my full marathon was October 10th, I had one week of recovery with hardly any running, and then I “trained” for the rest of the month. Tapering is always hard. I was craving a long run in that first week of October. I even made my last “long run” 10 miles instead of the scheduled 8 because I just felt like running. I know tapering is important, but it makes me feel like I’m going crazy. 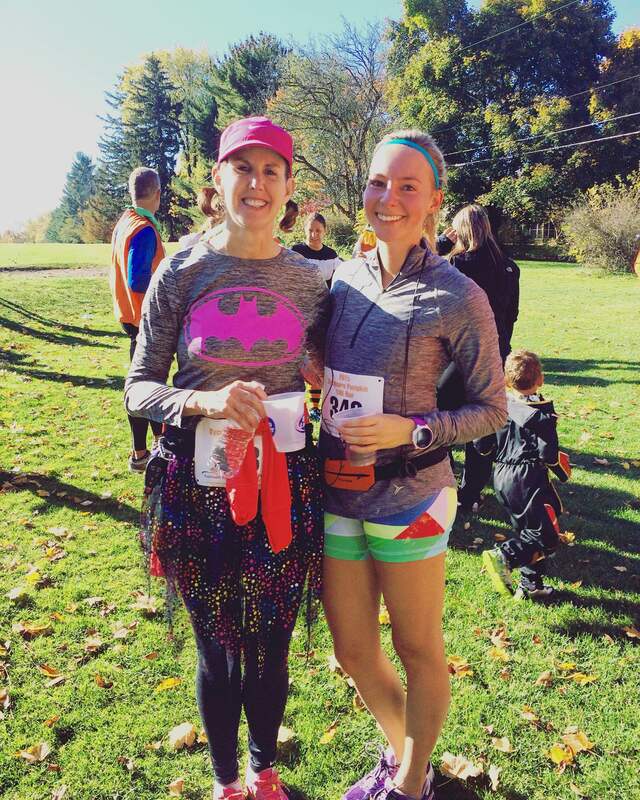 The Prairie State Trail Marathon was Saturday, October 10th and I set a new personal record! Shaved 20 minutes off my first marathon time – on trails! I’m unbelievably proud of this. I was really hurting towards the end of the race, but I still managed to finish with an 8:55 pace average. Official time of 3:53:33. And I was third in my age group so I got an extra medal! 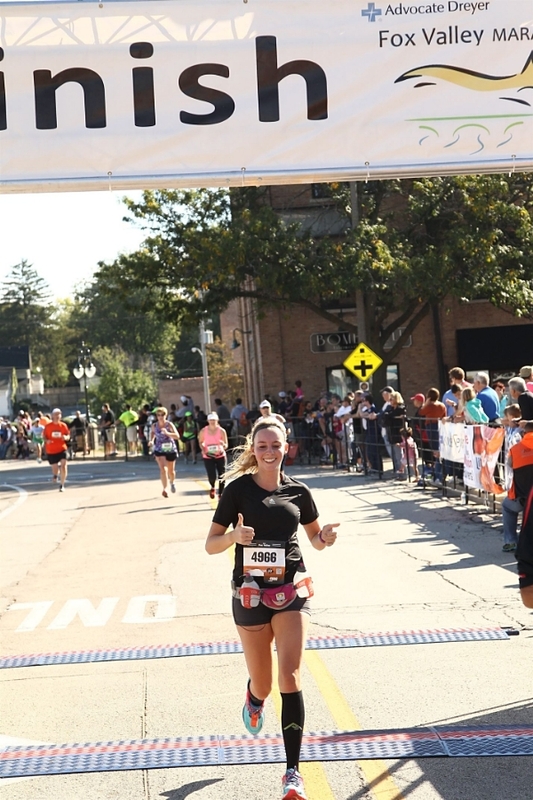 It was nothing like the Chicago Marathon and I desperately missed all the spectators, but overall I enjoyed the scenery and focused on letting my training show off. I was really proud. The day after my marathon was the Chicago Marathon and I got to spend the day watching amazing runners. I LOVED this day. I was sad I wasn’t running, but it was actually fun to be a spectator. I even saw some of my favorite IGer’s on the course and got to meet them afterwards. This wouldn’t have happened if I had been running, so I’m thankful I wasn’t. I even ran for a little bit with Lex at mile 16. As if I had forgotten I’d run a marathon the day before… My legs were dying by the end of the race just from all the walking and standing, but I honestly think this helped speed up my recovery. I probably ran over a mile and walked about 3 over the course of the day and I’m glad I did. 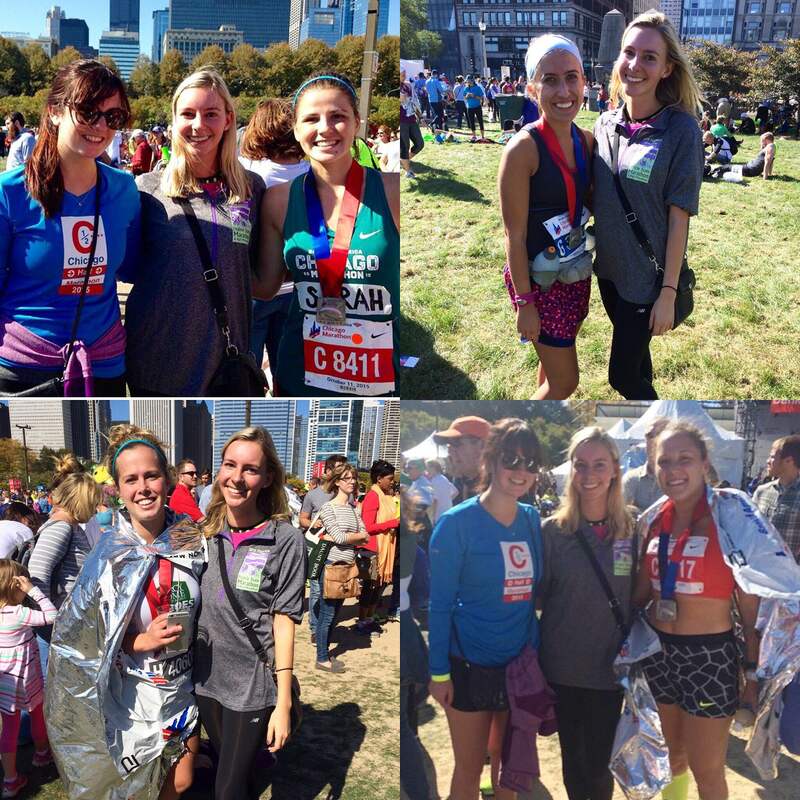 It was truly a great day and it reminded me of how much I love the Chicago Marathon. Definitely going to try to get in again next year! I didn’t run much at all the following week. A 1.5 mile run Monday and 2 mile run Thursday. My legs really weren’t that sore, but I didn’t want to push it. I knew I needed the recovery time and I’m glad I took it easy. I wasn’t really sure what to do with the rest of the month as far as “training” went. I only had 3 weeks left before my next marathon. Should I just run a 12 and an 8 miler as my long runs? Should I run another 20? I’ve only run two marathons and I’d never really thought about running two so close together, but that first 20 miler runners high caused me to sign up for a November full. I am glad I did, but I felt pretty unsure about it most of this month. I decided to run 17 miles last Saturday (10/24). 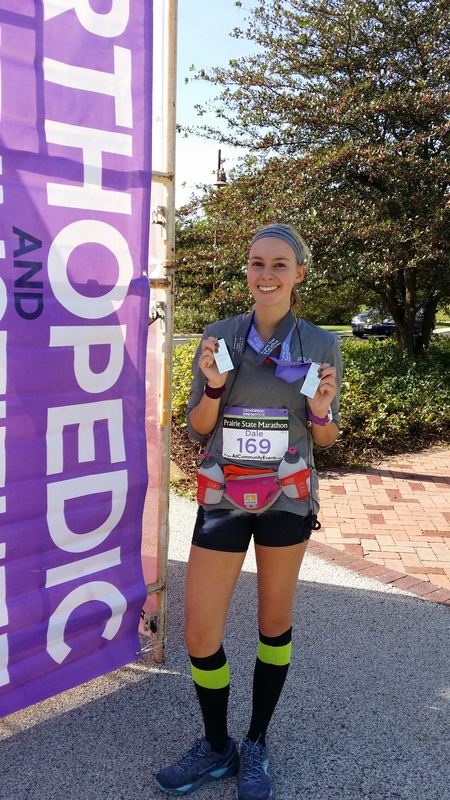 I went out terrified my body would quit on me, but I was amazed that I was able to do it. 17 miles at 8:47 pace two weeks after a marathon? This made me realize I am capable of incredible things. The important thing is to push yourself. You never know if you can do it until you try. The day after this 17 miler I decided to run an impromptu 10K with my boyfriend’s Mom and her friends. It was the Sycamore Pumpkin run, complete with Oktoberfest beer and the end (really why I signed up..lol). We had a perfect Fall day. It was chilly at the start, but perfect once we were running. My legs didn’t feel too bad, so I decided to push my pace. My first mile was 8:12 pace and the last five were all sub 8 minutes. I ended up finishing in 48:03 – 7:45 pace. This was a new 10K PR for me! I’d never really raced a 10K before and this made me want to. If I could pull off this pace the day after 17 miles, what could I do on fresh legs? I might be working a 10K into my Spring racing schedule. Really glad I decided to do this race! And the other really exciting thing that happened this month: I became an Ambassador for Momentum Jewelry! I’m so excited to represent such a motivating brand. I love their products and what they stand for. I really think it’s a perfect fit. Their wrap bracelets are my favorite! 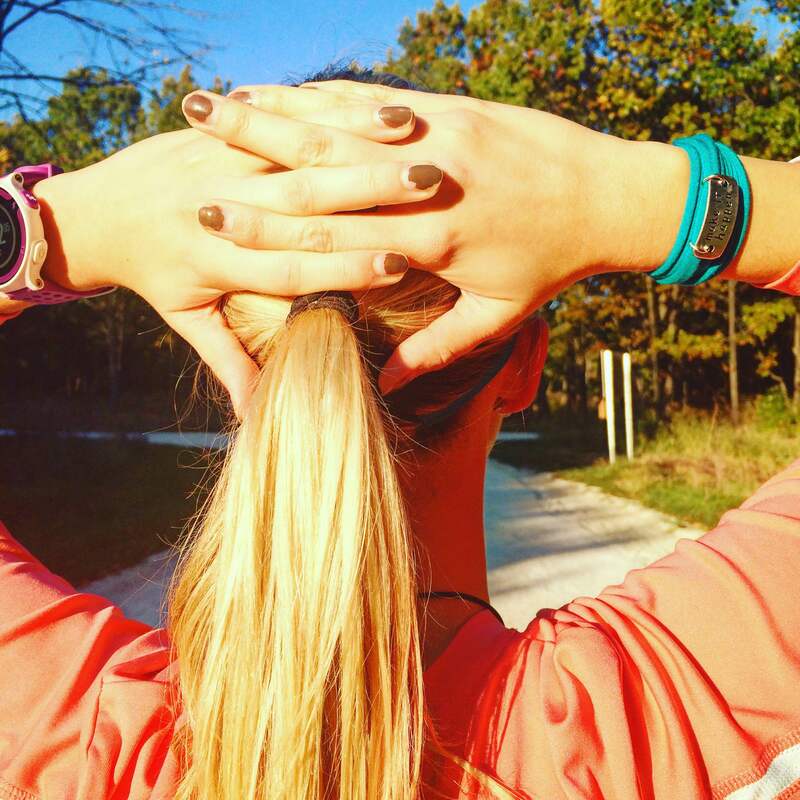 It’s great to have the reminder right on my wrist when I’m out on a long run. That little bracelet telling me to “make it happen” does motivate me. Overall, this was a great month. I learned a lot about myself. I can recover faster than I thought. I can push myself farther than I thought. I’m at a total of 1,077.52 miles for 2015. Crushing my total of 900 for 2014 and my goal of 1,007.5 that I set for 2015. And I still have two more months left to log some miles! I’m nervous for this extra Fall marathon in a week, but I know I can do it. It’s just another marathon, right? Bring on November. Let me introduce myself. I’m Dale. (Yes, my name is really Dale and I’m a female). I’m 22. Graduate of the University of Illinois. I’m currently living in the adult world. I’ve run 14 half marathons, 2 full marathons, and a handful of 5k’s, 10k’s, 10 milers. I love to run. I’ve always had a blog, but I never used it much. I love to write. And I love to connect with people. So, I thought why not start up a new blog that I really commit to writing on? Many of you are probably here because of Instagram. 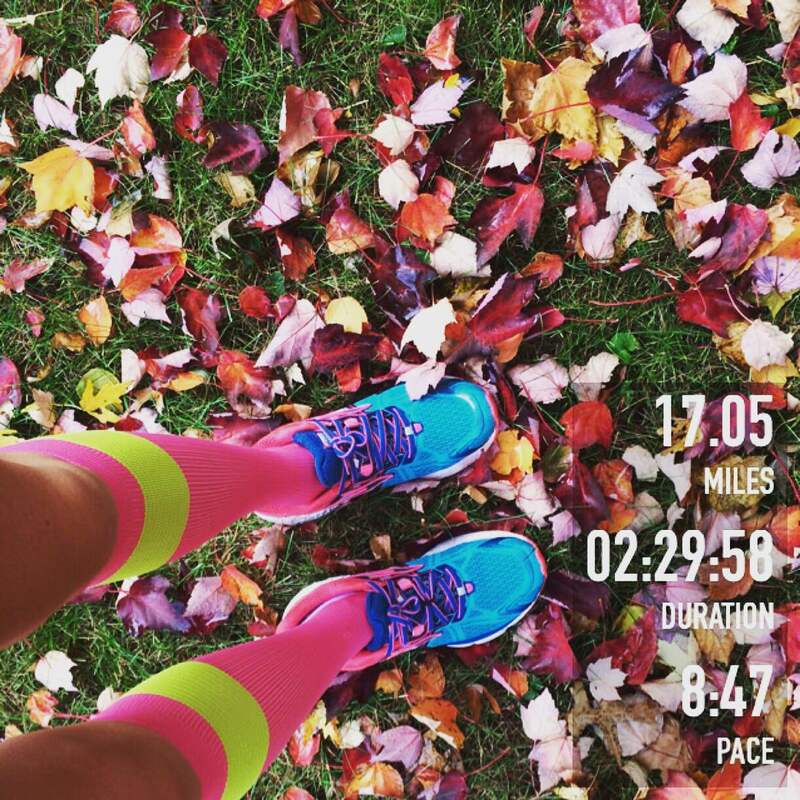 I’m obsessed with the Instagram running community. Creating my @marathoner_dale Instagram last year was one of the best decisions I have made. I love all the people I’ve been able to meet through it and the daily motivation. I get a lot of questions, so I thought this would be a better place to put long responses. I plan on offering advice, giving training plan/ workout ideas, sharing recipes, posting race recaps, and rambling about running related things. So, enjoy. I can’t promise it will be quality content 24/7 since my schedule is pretty crazy, but I want to write as much as possible! Feel free to follow me on Instagram (marathoner_dale) and email me (marathonerdale@gmail.com)!